Learn how the Colorado River carved this incredible land formation, revealing nearly two billion years of the Earth's geological history in the process. 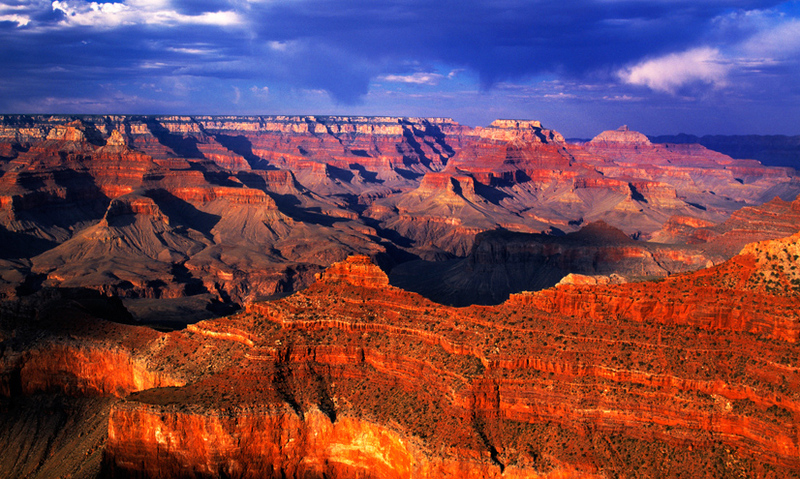 The Grand Canyon is a gorge 2km deep, 29km wide and 446km long. Over 75 million years ago, the Pacific plate and the North American plate collided forming mountain ranges. The Colorado river, travelling from the Rocky Mountains, cut through the rock to form the beginnings of the Grand Canyon. Flash floods and freeze-thawing also played a part in the formation of the Grand Canyon over the course of 50 million years. A gorge nearly 2km deep, 29km wide and 446km long. Located on the Colorado Plateau, the Colorado river cuts through this beautifully preserved canyon – exposing rocks over 2 billion years old.